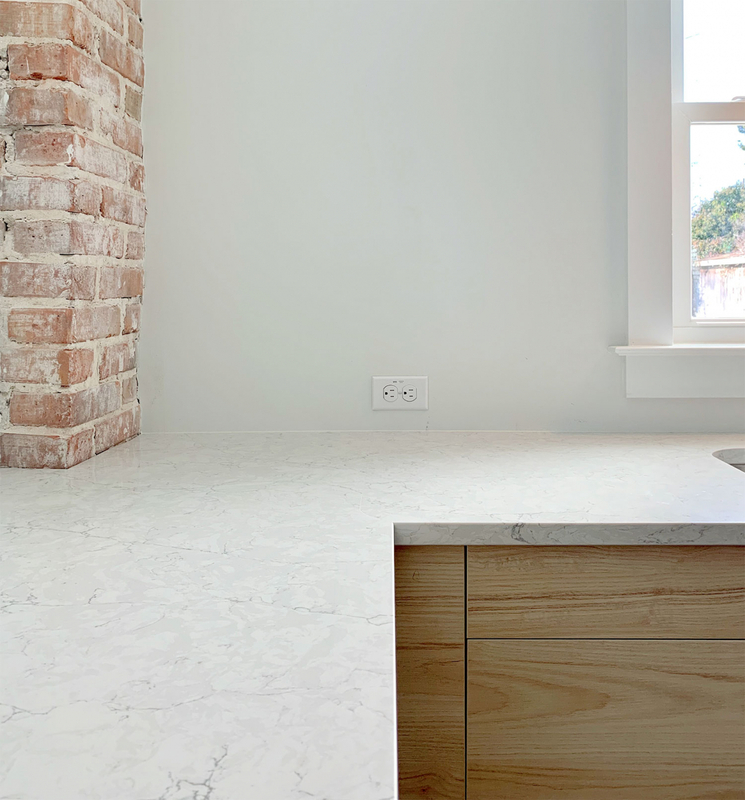 The duplex countertops are in (!!!) and we couldn't be more excited. We still need to install the cabinet toe kicks, add hardware, and tile the backsplash, but for now we're trying to bask in the fact that the counters are finally in, and THEY'RE PERFECT! If they look familiar, it's because it's the EXACT SAME THING we bought for the island at the beach house. And now we've bought it for BOTH sides of the duplex - even thought the cabinets are very different colors. It's a quartz material by Silestone called "Pearl Jasmine" and it checked all of the right boxes for this project. 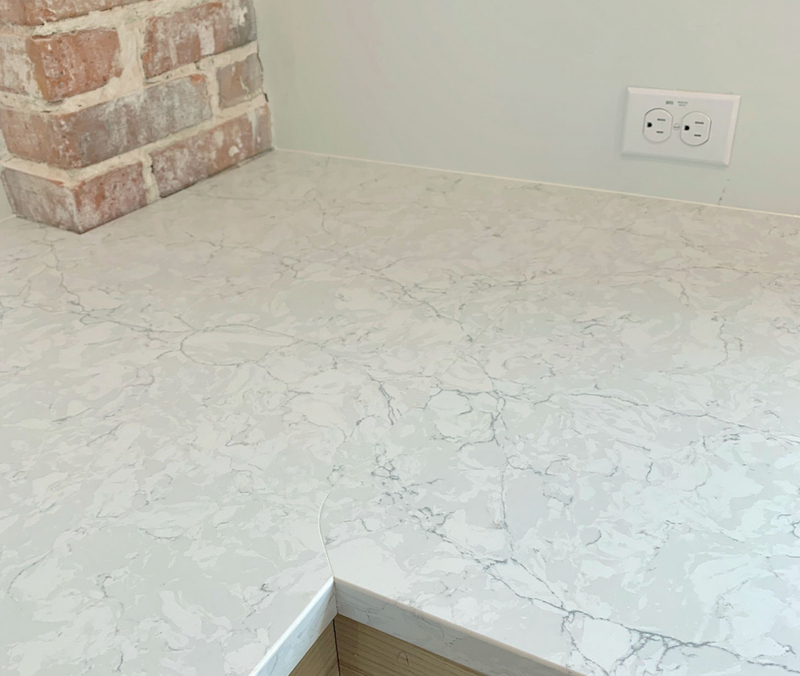 We love quartz because it's known to be extra durable and it requires less maintenance than most other counter options (they never need to be sealed, for example). We also went with quartz for our kitchen at home and have been really happy with it for the last 3+ years. 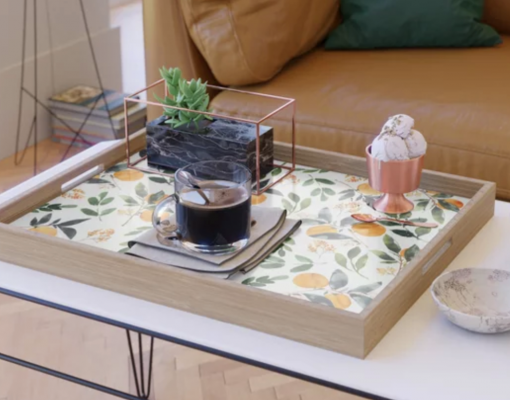 The "Pearl Jasmine" pattern is such a great neutral because it's marble-ish, but the veining is a bit more subtle & small-scale than most real marble slabs. It creates the perfect amount of movement and interest without becoming a focal point itself (since the blue cabinets on one side and the wood cabinets on the other side are each being paired with a bold patterned backsplash tile, we didn't want the counter to compete). And look at that seam in the corner above! Doesn't it look like it disappears?! They curve it off to the side now, and it blends so much better than when they used to do straight lines that were easier to pick up with your eye. We'll share more photos as the kitchen comes together (also still needs running water...DETAILS!) but we're so happy to have this checked off the list. And if you're in the market for a quartz with some subtle movement but not too much craziness, this is our very favorite. 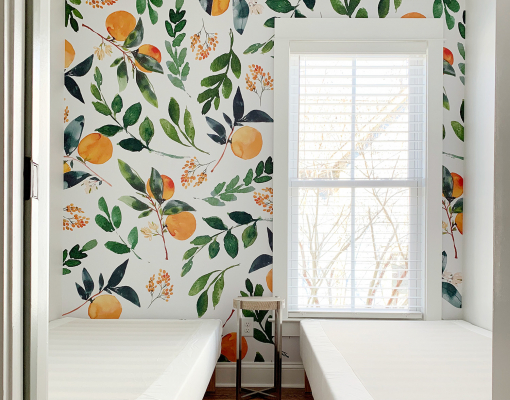 Have you ever considered installing removable wallpaper? Last week on the blog we shared how we put up two removable murals at the duplex and it ended up being EASIER, CHEAPER, and BETTER than we ever expected! We had one of our favorite podcast chats ever with Joshua Becker about achievable minimalism (he made us THINK!) 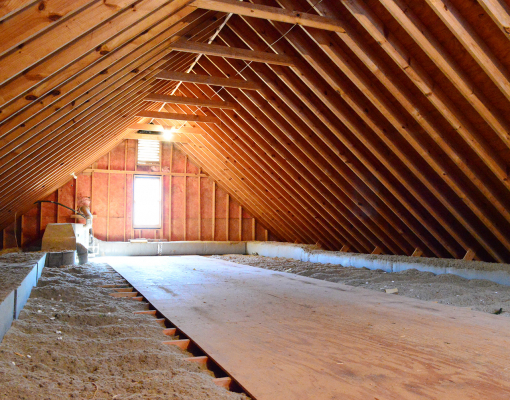 and we shared our "secret" attic, including a video tour in the show notes of what we store up there now! 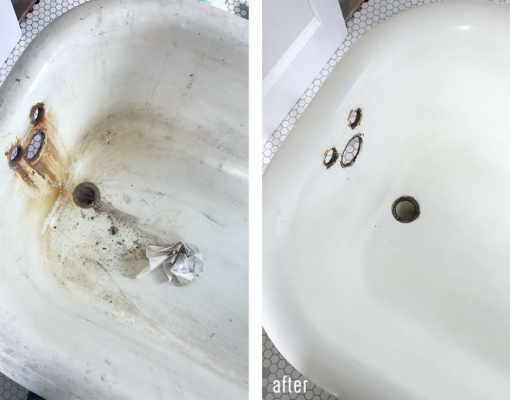 I recently came across an old "before" photo of the beach house's clawfoot tub & had totally forgotten how gross it was! Here's a tutorial we shared about how we brought it back from the brink with just a little elbow grease! WHEW! Enter to win a FREE Agility Mattress plus a pair of Therapedic TruCool memory foam pillows at AgilityBed.com/YHL! Giveaway ends February 8th. Available to residents of the lower 48 United States. PS: If you know someone who might enjoy this email, click the "Forward" button below or send them a link to our subscribe page. *This email contains affiliate links. You can read our full disclosure policy here.